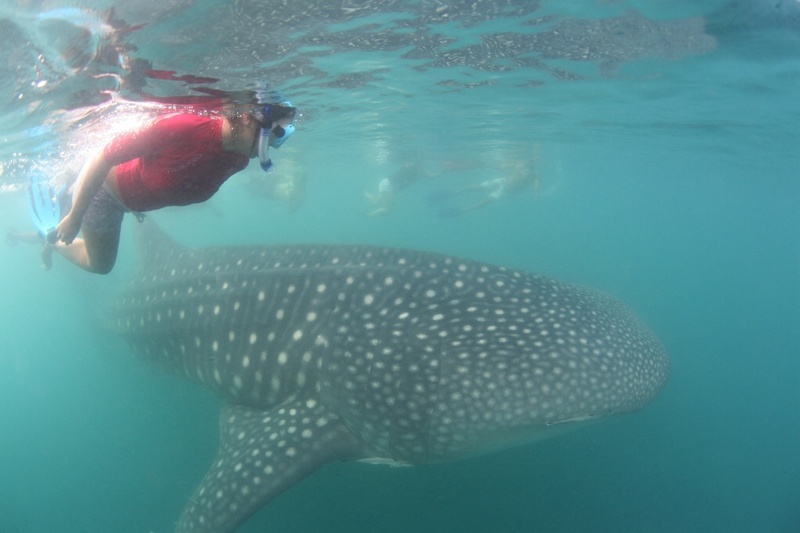 Super sunny and great whale shark interaction! The monitor boat found one whale shark, and he swam with people about almost 1 hour. All the guest enjoyed very much and happy and so tired.